King Reuben is enjoying a peaceful reign when strange developments occur throughout his kingdom. First, two evil men from another country arrive with a traitorous plan. Then the king's boyhood friend Sir Castor disappears! Tirzah and her father Fletcher live a quiet life in their inn outside Exmoor City, but one day two strangers arrive bearing strange rings. Who are these men and why have they come to Exmoor? About the Author: Kliever grew up on a farm in Manitoba to a homeschooling family. She now lives in Alberta with her husband and growing family. She is the author of A Slave's Quest and The Battle Over a Prince, the first two volumes of The Chronicles of Exmoor. 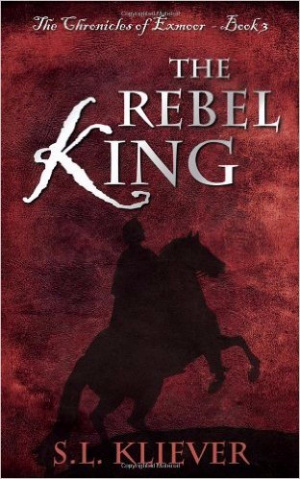 The Rebel King by S L Kliever was published by Word Alive Press in August 2013. The ISBN for The Rebel King is 9781486600823. Be the first to review The Rebel King! Got a question? No problem! Just click here to ask us about The Rebel King.